New Year day is celebrated on 1st January of every year. It’s the starting day of the year and thus celebrated as New Year. People celebrate New Year with great enthusiasm and exchange gifts with their loved ones on this day. One of the old traditions is sending greeting cards for their loved ones writing best wishes on the card for the year ahead. Many organize parties for celebrating New Year with their loved ones and there are lots of delicious foods, meals and ofcourse the cake. Without cutting the cake New Year celebration remains incomplete so people make yummy cakes for new year and cut the cake on new year’ Eve for welcoming the New Year. Cakes can be of any shape there is no limit what a cake can look like, here you will find lip smacking new year celebration cakes which you can pick for your loved ones and if you are miles away from your loved ones on New Year’s eve then you can send new year cakes online to India or abroad with the help of the site and we deliver the cake to your or recipient’s doorstep without any hassle. 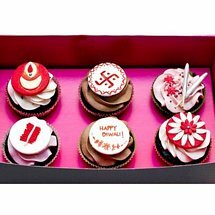 There are varieties of New Year cakes on this site with different flavors like vanilla, butterscotch, strawberry, pineapple, chocolate and much more. Pick the best one from the varying flavored New Year cakes and send it online. Delight your loved ones on New Year with lip smacking New Year cakes and send it to India online with the help of the site and make the new year of your loved ones and give them a wonderful surprise. These New Year cake will definitely make their party more special as cake is an important part of any celebration and always will be.